Musical Theatre News: Russell Watson to play Jean Valjean? 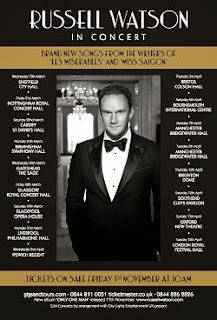 Russell Watson to play Jean Valjean? Updated 30th October: in an interview in the Manchester Evening News Russell has revealed that last month he met with Sir Cameron Mackintosh about taking over taking on the part of John Valjean for a six-month run in the West End. He is now considering the offer, but if he does take on the role it wouldn’t be until the end of 2014 at the earliest saying “The next plan is that I do a workshop where I have to sing some of the songs and try acting. A lot of fantastic artists have played that role including the first Valjean Colm Wilkinson who was sensational.I think it is a role I would do justice to". According to an article in today's Standard, Salford tenor Russell Watson is set to make his West End debut as Jean Valjean in Les Miserables. He is currently working with Les Miserables writers Alain Boublil and Claude-Michel Schonberg on a new album Only One Man which will be released in November and features songs from their musicals plus some new numbers which they have written especially for him. 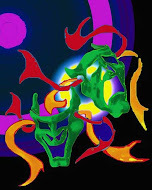 It is being produced by Schonberg and will be accompanied by a stage show which will tour the UK.